Adrian Clarke is analysing three teams' starts to the season, and what they are doing right and wrong. If you have the ball and are using it properly, the opposition cannot hurt you. That has always been one of Pep Guardiola’s chief mantras as a coach, and an improvement in that area is helping his Manchester City side improve defensively. The Premier League leaders have only conceded twice so far, keeping five clean sheets in seven appearances. The manner in which they are overwhelming teams by dominating possession in the middle and attacking thirds means they are spending less time having to defend. 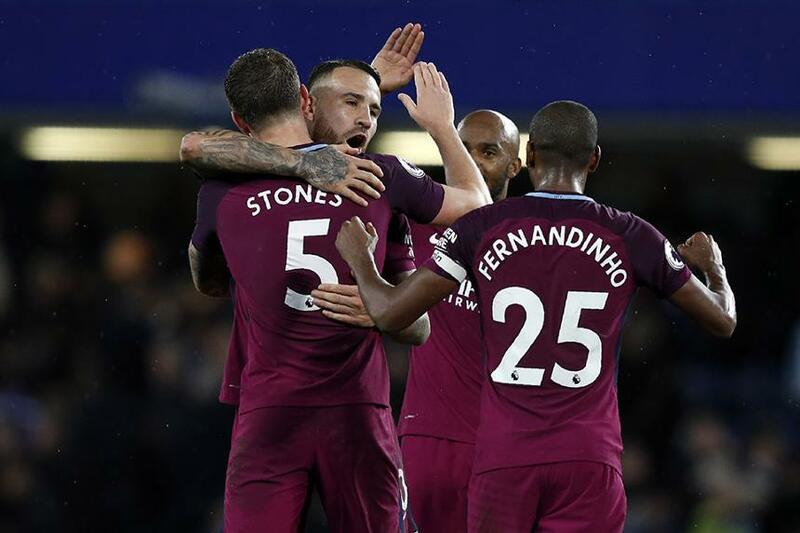 During the impressive 1-0 win over Chelsea at Stamford Bridge – one of their most testing away fixtures – Guardiola’s men were supremely efficient in possession, spending 77.9% of the match away from their own defensive third. At AFC Bournemouth and Brighton & Hove Albion those numbers stood at 82% and 87.1% respectively. City’s average possession also stands 4.1% higher than the next closest side, Arsenal, and their supreme pass accuracy is 3.6% above the second-ranked team, Manchester United. Sharper and more cohesive on the ball than last term, aided by two full-backs with the power to go up and down the wing relentlessly, Guardiola’s side are spending more time in advanced areas of the pitch. These factors are limiting the number of quality chances their opponents have been able to create. City’s control has been a wonderful form of defence. This City side also has a stable presence between the posts. Seven matches in and Ederson has caught the eye. The 24-year-old summer signing from Benfica is firm in his decision-making, especially when coming for crosses. He is also a better shot-stopper than Claudio Bravo and Willy Caballero, the two goalkeepers used by Guardiola last term, and also more intelligent with his distribution. Tellingly, his presence has given the central defenders in front of him more assurance than during 2016/17. They are less on edge. City have so far flitted between 3-1-4-2 and 4-3-3 formations, but Guardiola has been consistent with his selection policy. Picking Fernandinho, David Silva and Kevin De Bruyne for every Premier League match, the central midfield unit has built up a lovely chemistry. This has helped them gain the control the head coach has been seeking. While there is a great onus on Fernandinho to provide positional discipline, as a trio the midfield have generally won the ball back quickly, pressing in packs. Behind them, for the reasons outlined above, the John Stones/Nicolas Otamendi axis has been better protected than last term. No defence has had to make fewer clearances than City’s across the first seven fixtures. However, both players have also kept to a minimum individual mistakes. Their distribution in particular has been excellent, with very few turnovers conceded inside their own half. The secret City’s improved defensive record is not down to one solitary factor. It’s their cohesion as a team that is ensuring they don’t experience too many hairy moments. By taking charge of matches higher upfield, they are making life easier for the men at the back.